I'm one of those that loves to bake stuff and loves to try out baking new things (as long as I like the sound of it that is haha). I could easily spend a day just baking one thing after another which isn't always a good thing when your trying to eat more healthy! 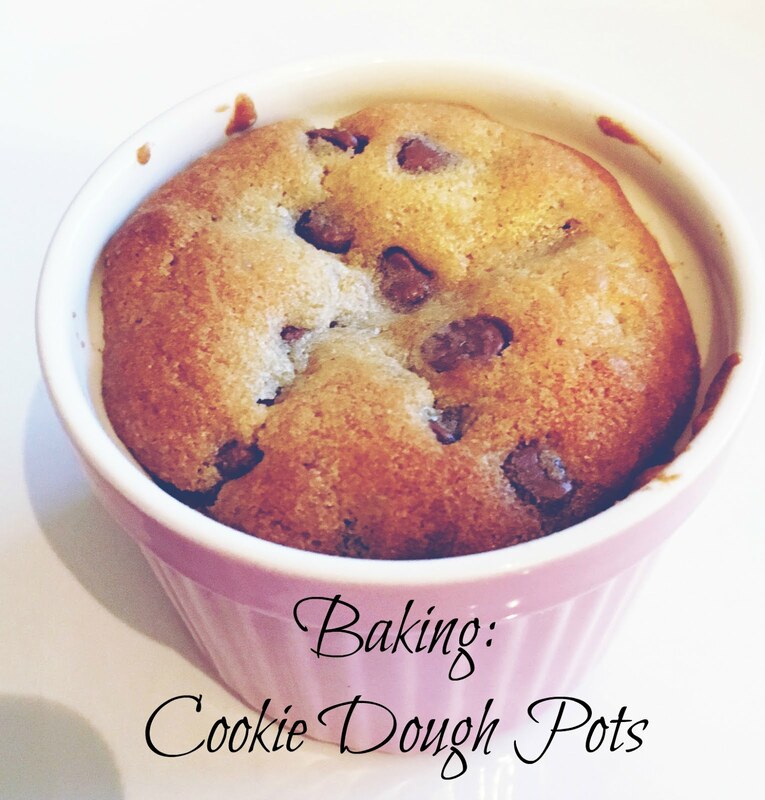 After watching these gorgeous Cookie Dough Pots being made on one of the cookery programmes that are on Sky TV, I just knew that I needed to have a go a making them to see if mine turned out anything like they did on this programme. 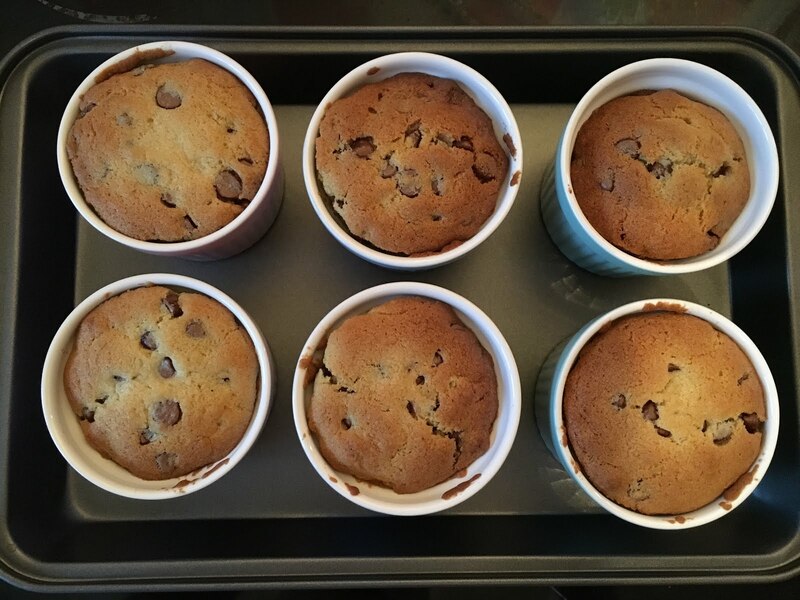 You will also need 6 ramekins to bake the cookie dough in. Before you start putting all your ingredients together make sure you preheat your oven to 180 degrees or Gas Mark 4, whatever one your oven uses. - First off place your flour, sea salt and bicarbonate soda into a bowl and just mix this together using a spoon and put to one side for now. - Then using either an electric mixer or a hand mixer (fork haha), beat together your brown sugar and butter until you get a light creamy texture. To this you then need to add your vanilla extract aswell as your egg and mix again until all these are combined together. Once you have your completed mixture, divide this equally between your 6 ramekins. I found that 2 tablespoons in each ramekin was just the right amount. Then flatten the tops of each one with the back of a spoon just so that it bakes at an even speed. Place the ramekins onto a baking sheet or tray, and bake in the oven for 15 minutes, once baked they should have a nice golden top but still be gooey on the inside. Leave these to cool down for about 10 minutes as whilst they are cooling down they will also set. Don't be like me and attempt to taste them after a few minutes of being out of the oven, as I did an I burnt my tongue whilst doing so haha. This is one of the most simple recipes I've ever attempted to make and you can be sure that I will be making quite a few more of these over the Christmas period!